← Dresser Refinishing – Guest Post! 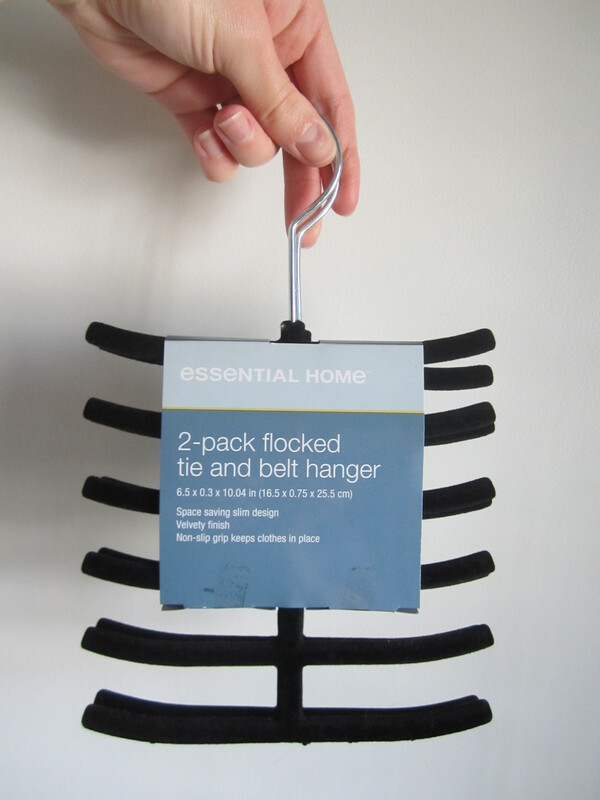 Have you guys seen these hangers before? I came across them at my local dollar store (a pack of 2 for $1.25) and I thought they would be perfect for organizing my closet! 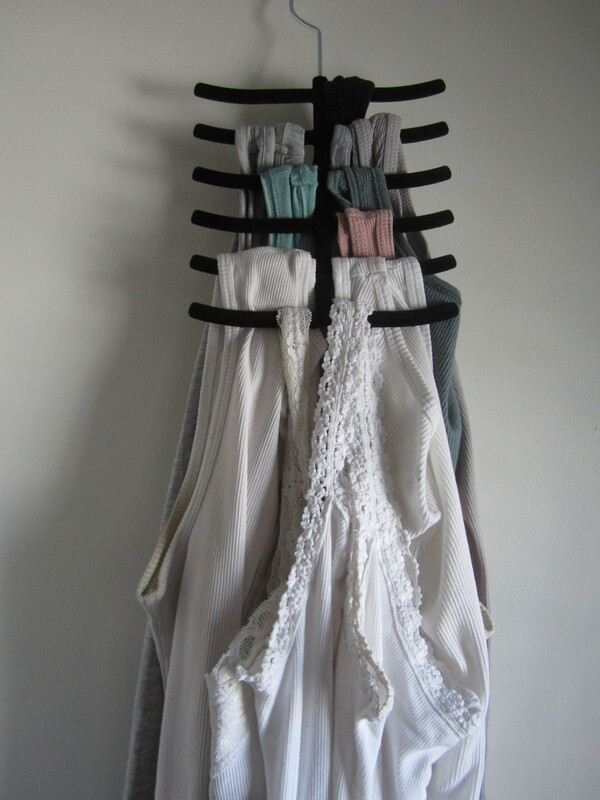 I used them for my tank tops – takes up way less space than individual hangers for each shirt. 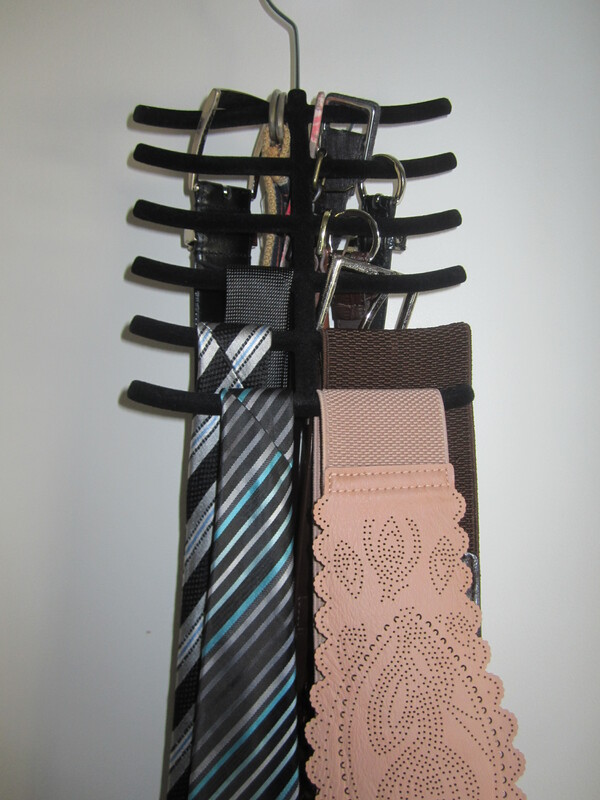 Our belts – no more wasting drawer space. 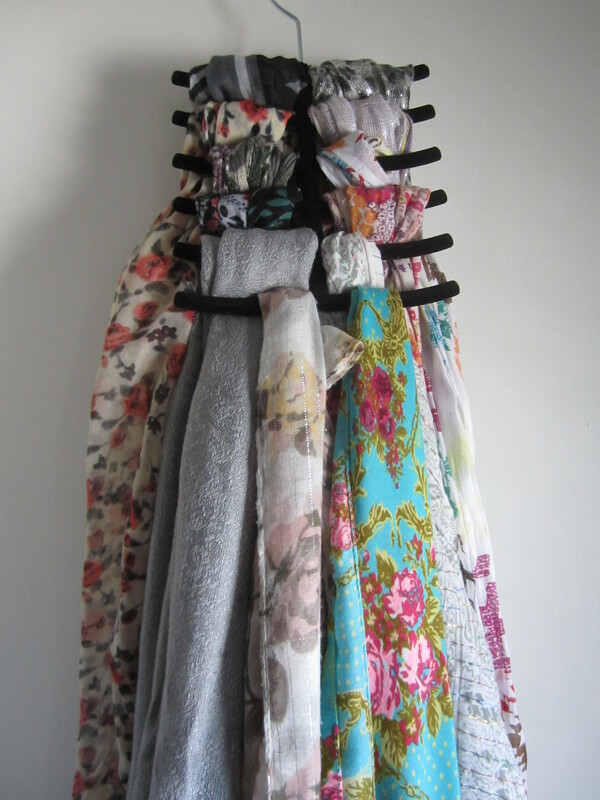 And my scarves – prevents them from getting all tangled! I have one hanger left and I’m undecided how I’m going to use it… either for purse storage or L’s accessories. Although, I guess I could always buy more considering how inexpensive they were!